The flora of Crete is at its best in spring, after the winter rains. Even the normally very dry southern parts become green, and hundreds of flowers, plants and herbs start to blossom. There are 130 species of wild flowers and herbs unique to Crete. Many Cretan herbs are Lamiaceae, or of the mint family, a family of plants in about 180 genera and some 3,500 species. These include many widely used culinary herbs, such as basil, mint, rosemary, sage, marjoram, oregano and thyme. Some are shrubs, but rarely trees or vines. It was originally called Labiatae because the flowers typically have petals fused into an upper lip and a lower lip. The leaves contain aromatic essential oils and emerge oppositely, each pair at right angles to the previous one (called decussate) or whorled. The stems are square in cross section. The flowers are bilaterally symmetrical with 5 united petals, 5 united sepals. They are usually bisexual and verticillastrate (a flower cluster that looks like a whorl of flowers but actually consists of two crowded clusters). Below you will find a selection of the most common Cretan herbs. Diktamos is one of the most well known traditional healing herbs. Native to the mountains of Crete (name derived from the Mount Dikti in central Crete) and also called dittany or dictamnus, this perennial plant can reach a height of 0.3 meters. Procumbent white, woolly stems, usually trailing, develop pink or purplish flowers in the summer. The small gray leaves have a velvety texture. Of minor importance today, dittany of Crete is primarily used as a potted plant or as an ornamental plant in garden borders. The flowers have been used in herbal teas, but the plant has no culinary value. As a medicinal plant, the herb has been utilized to heal wounds, soothe pain, cure snake bites, and ease childbirth. In addition, it has been used as a remedy against gastric or stomach ailments and rheumatism. Dictamnus albus L. (Dictamnus fraxinella Pers. ), known as dittany and fraxinella, is often confused with dittany of Crete. In ancient times dittany of Crete was famous for its alleged property of expelling weapons imbedded in soldiers. Wild goats were reputed to seek out the plant after being struck by arrows; the goats were thought to eat the plant, and the arrows would fall out immediately. Shepherds saw this and would then ingest and later make compresses of the leaves to heal open wounds. In the tale of the Trojan wars by Virgil, the hero Aeneas was severely wounded by a deeply imbedded arrow that could not be extricated. His mother Venus went to Mount Ida on the island of Crete and retrieved some dittany of Crete, which was applied to the wound, causing the arrow to drop out and the wound to cure immediately. In ancient times it was believed that a snake would allow itself to be burned to death rather than cross the path of dittany of Crete. The locals called it also "Erondas" which means romantic love (eros) for its aphrodisiac properties, and because the spots where it grows are always very steep, so someone has to be deeply in love to go pick it for their beloved! 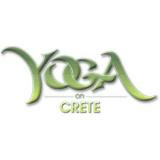 Popular in Minoan Crete and Ancient Greece, it was considered a highly therapeutic plant. Dittany of Crete is generally recognized as safe for human consumption as a natural flavoring. This plant is also attractive to bees, butterflies and/or birds. Chamomile has been used for centuries as a medicinal plant, mostly for gastrointestinal complaints. This practice continues today. Chamomile was supposedly dedicated to the sun by the Egyptians because of its curative value in the treatment of ague (acute fever). It is used in various parts of the world as a table tea. It was used to regulate monthly periods. It is splendid for kidneys, spleen, colds, bronchitis, bladder troubles, to expel worms, for ague, dropsy, and jaundice. The tea was believed to make an excellent wash for sore and weak eyes, as well as as treatment for conjunctivitis and other reactions of the eyes, and for other open sores and wounds. Chamomile was used as a poultice for pains and swellings. Used for hysteria and nervous diseases, prevention of gangrene, for breaking up typhoid and in combination with bittersweet for bruises, sprains, calluses and corns. Chamomile is a stimulant, bitter, tonic, aromatic, emmenagogue, anodyne, antispasmodic, stomachic. It is used externally to spur wound healing and treat inflammation, and internally for fever, digestive upsets, anxiety, and insomnia. It is used as a fragrance in herbal skin care products. It was also used in shampoos because of its property to add luster to the hair. Clinical studies have shown that chamomile has mild sedative effects when administered as a tea. Animal studies have shown that Chamomile volatile oil when administered orally to rabbits with impaired kidney function, normalized the uremic condition. This shows that chamomile may be useful in the treatment of impaired kidney functions. The flavonoid apigenin has shown antihistaminic effects in animal studies. Chamomile was also shown useful for reducing inflammation in arthritis. In addition, it relaxed the smooth muscle of the intestine. Sage is a term used for plants of the genus Salvia of the mint family, Lamiaceae. The name Salvia comes from the Latin verb salvare, "to heal or redeem". The aromatic sages strengthen the lungs and can be used in teas or tinctures to prevent coughs. Less aromatic species of Salvia are run-of-the-mill mint-family anti-inflammatories, which means that they can be used for pretty much any infection or inflammation, and will give at least some relief. As an herb, sage is considered to have a slight peppery flavor. In Western cooking, it is used for flavoring fatty meats (especially as a marinade), cheeses, and some drinks. In Britain and Flanders, sage is used with onion for poultry or pork stuffing and also in sauces. In French cuisine, sage is used for cooking white meat and in vegetable soups. Germans often use it in sausage dishes. Sage is also common in Italian cooking. In the Balkans and the Middle East, it is used when roasting mutton. Origanum vulgare is a spicy, Mediterranean, perennial herb, particularly common in Greek and Italian cuisines. It is the leaves that are used in cooking, and the dried herb is often more flavourful than the fresh. Several species of the genus Origanum are native to the Mediterranean, all of which are traded as a spice. The influence of climate, season and soil on the composition of the essential oil is greater than the difference between the various species. In Greece, the most common is O. onites. Oregano is a condition sine qua non in Italian cuisine, where it is used for tomato sauces, fried vegetables and grilled meat. Together with basil, it makes up for the character of Italian dishes; see parsley on Italian variants of bouquet garni. Oregano can be effectively combined with pickled olives and capers or lovage leaves; other than most Italian herbs, oregano harmonizes even with hot and spicy food, as is popular in Southern Italy. The cuisines of other Mediterranean countries make less use of it, but it is of some importance for Spanish, French and Greek cooking. Marjoram is a cold-sensitive perennial herb or undershrub with sweet pine and citrus flavors. It is also called sweet marjoram or knotted marjoram and Majorana hortensis. The name marjoram (Old French majorane, Medieval Latin majorana) is not connected with the word major. Marjoram is cultivated for its aromatic leaves, either green or dry, for culinary purposes; the tops are cut as the plants begin to flower and are dried slowly in the shade. Thyme is a genus of about 350 species of aromatic perennial herbs and sub-shrubs to 40 cm tall, in the family Lamiaceae. They are native to Europe, north Africa and Asia. The stems are thin and wiry; the leaves are evergreen in most species, arranged in opposite pairs, oval, entire, and small, 4-20 mm long. The flowers are in dense terminal heads, with an uneven calyx, with the upper lip three-lobed, and the lower cleft; the corolla is tubular, 4-10 mm long, and white, pink or purple. Common Thyme T. vulgaris is a very commonly used culinary herb. It is a Mediterranean perennial which is best suited to well-drained soils and enjoys full sun. Citrus Thyme T. x citriodorus (T. pulegioides x T. vulgaris) is also a popular culinary herb, with cultivars selected with flavours of various Citrus fruit. Woolly Thyme (T. pseudolanuginosus) and Creeping Thyme (Thymus serpyllum) are not culinary herbs but are attractive ground covers. Wild Thyme (Thymus serpyllum) is an important nectar source plant for honeybees. All thyme species are nectar sources, but wild thyme covers large areas of droughty, rocky soils in southern Europe (Greece, and particularly Crete, is especially famous for wild thyme honey), as well as in similar landscapes, e.g., in the Berkshire Mountains and Catskill Mountains of the northeastern US. Thyme is often used to flavour meats, soups and stews. It is used in French cuisine, where it is an important element in a bouquet garni, as well as in Herbes de Provence. It is also widely used in West Indian cuisine. In Jordan the condiment zahtar contains thyme as vital ingredient. Thyme should be added early in cooking so that its oils have time to be released. The true Mints are perennial herbs in the family Lamiaceae. They are used to flavor food, candy, teas, breath fresheners, antiseptic mouth rinses, and toothpaste. All of them are included in the genus Mentha. In common usage, just about any plant with fragrant leaves may be erroneously called a mint. The underlying minty scent is due to menthol. Mints are generally vigorous, spreading plants that tolerate a wide range of conditions. There are hundreds of varieties but only fifteen are common. The Bay Laurel, also known as True Laurel, Sweet Bay, Grecian Laurel, or just Laurel, is an evergreen tree or large shrub reaching 10-18 m in height, native to the Mediterranean region. The leaves are 6-12 cm long and 2-4 cm broad, with a characteristic serrated and wrinkled margin. Bay Laurel is dioecious, with male and female flowers on separate plants; each flower is pale yellow-green, about 1 cm in diameter, borne in pairs together beside a leaf. The fruit is a small black berry about 1 cm long, containing a single seed. Bay Laurel is the source of the spice Bay Leaves. It was also the source of the Laurel wreath of ancient Greece, and therefore the expression of "resting on one's laurels". A wreath of bay laurels was given as the prize at the Pythian Games. It is also the source of the word baccalaureate (laurel berry) and thus bachelor, and of poet laureate. Basil is also known as Albahaca, St. Joseph's Wort, and Sweet Basil. It is a tender low-growing annual herb, originally native to tropical Asia. It grows to 20-60 cm in height, with opposite, light green silky leaves 1.5-5 cm long and 1-3 cm broad. It tastes somewhat like cloves, with a strong, pungent, sweet smell. Basil is very sensitive to cold, with best growth in hot, dry conditions, like Crete. The word basil (from Greek 'basileus', king) means "royal". The Oxford English Dictionary quotes speculations that basil may have been used in "some royal unguent, bath, or medicine". Basil is still considered the "king of herbs" by many cookery authors. Basil is most commonly used fresh, and in cooked recipes, is generally added at the last moment, as cooking destroys the flavour quickly. The fresh herb can be kept for a short time in plastic bags in the refrigerator, or for a longer period in the freezer, after being blanched quickly in boiling water. Place fresh leaves in a dry jar with a pinch of salt, and cover with olive oil. The dried herb also loses most of its flavour, and what little flavour remains tastes very different, with a weak coumarin flavour, like hay. Note that Basil is poisonous if eaten in very large amounts. Mediterranean cuisines frequently use basil, especially combined with tomato. Basil is one of the main ingredients in pesto - an Italian sauce from the city of Genoa. The most commonly used Mediterranean basil cultivars are 'Genovese', 'Purple Ruffles', 'Mammoth', 'Cinnamon', 'Lemon', 'Globe', and 'African Blue'. Rosemary is a woody, perennial herb with fragrant evergreen needle-like leaves that are used in cooking. It is native to the Mediterranean region. Forms range from upright to trailing; the upright forms can reach 1.5 m in height. The flowers are variable in colour, being white, pink, purple, or blue. Its fresh and dried leaves are used frequently in traditional Mediterranean cuisine as a spice; a tisane can also be made from them. Rosemary is a member of the mint family Lamiaceae, which also includes many other herbs. The name rosemary has nothing to do with the rose or Mary, but derives from the Latin name rosmarinus, which is presumed to mean "dew of the sea", though some think it too may be derived from an earlier name. Since it is attractive and tolerates some degree of drought, it is also used in landscaping, especially in areas with a Mediterranean climate. It can in fact die in over-watered soil, but is otherwise quite easy to grow for beginner gardeners. It is very pest-resistant. Rosemary has a very old reputation for improving memory, and has been used as a symbol for remembrance (as in worn during weddings and funerals) in Europe, probably as a result of this reputation; in Shakespeare's Hamlet, Ophelia says, "There's rosemary, that's for remembrance". Rosemary is a useful food preservative, according to research published in 1987. Researchers at Rutgers University, New Jersey, patented a chemical derived from rosemary that compares favourably with BHA and BHT in its preservative properties. These are the heart-shaped leaves of the lime-tree, a tree most sung in European literature. Ancient greek doctors used the infusion of its leaves and the leaves themselves for snake bites while Plinius states that snakes dont even dare come close to the shade of the tree. Tilium is considered as the ideal infusion for rheumatisms and arthritis, while it helps in the dissolution of nephroliths. It is antitussive and sudorific and has good effects against the urea of diabetics, arteriosclerosis and coxalgia. It is used in cosmetics, in the creation of lotions and creams for face and body. The leaves and the flowers are collected in June and July when the tree is in blossom. A tough, decorative perennial of the mint family, growing 30 - 45 cm in height. It forms dense, slowly expanding clumps with erect to nearly prostrate, leafy stems. The leaves are roughly lance-shaped, 2,5 - 6 cm long and covered in white wool, sometimes with a slight yellowish cast. Slender stalks carry small, pale yellow flowers in interrupted clusters during the summer months. With the exception of the roots, the whole plant is used for this tea. It grows at altitudes over 1,000 m on the White Mountains of Crete. Its properties are diuretic, digestive, antioxidant, and calming. Together with a spoon of Cretan honey it is an excellent remedy against a cold! Dosage: 1tsp for every cup of boiling water.